Maggie doesn’t know how small she is. She’s a mastiff sized dog stuck in a Boston Terrier body. She will not hesitate to vocalize (bark) when she feels threatened. When dogs get inside her space. She lunges and barks to fend them off even snarls at the back of their necks. She’s gotten into tussles four times this year. And she is extremely leash reactive. She’s anxious in the car and she has this obsession with her suckles (stuffed animals she treats like pacifiers). Last Friday she reacted to a large full sized poodle that entered our group space at Fiesta. This poodle didn’t hesitate to correct her back and bit her head and her mouth. The look of sheer terror and shock on Maggie after I pulled this dog off her is one that I will never forget. I held her little head in my hands while she wouldn’t take her eyes off me as if pleading for me to erase what just happened. She was bleeding from the nose and in all sense of the dog world looked like she was crying. We cleaned her up and inspected her. She wasn’t hurt too badly. We walked for another 40 minutes to shake off the event and I took her home. I’m on a mission to do what I can to help her reactivity. I’m not a trainer. But I am however a hands on dog mom extremely concerned about helping Maggie. It will take time. For example Patricia McConnell says it can take 9 to 10 months to teach sit alone. And teaching something like a U turn might take two months. Patience is going to be a critical trait in this journey. I’ve worked with a trainer and acquired a list of resources. 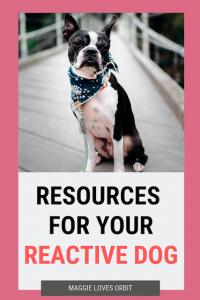 A fantastic read specifically about how to help your reactive dogs. 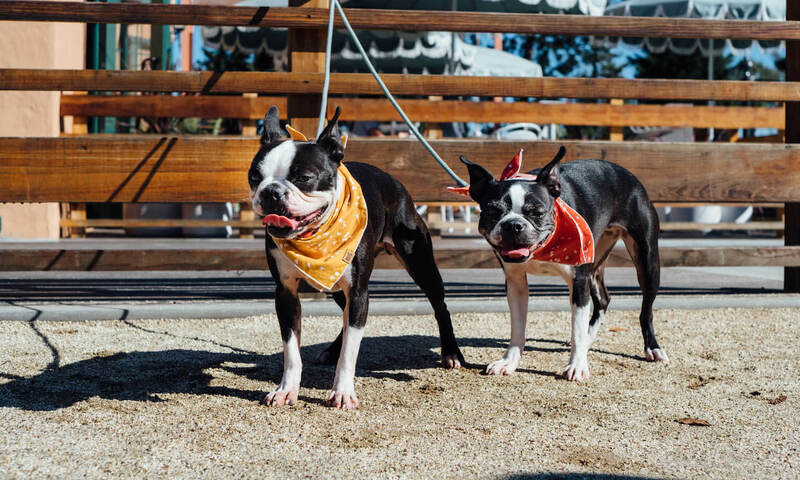 To understand what calming signals look like read – I’ll read On Talking Terms With Dogs (about calming signals) by Turid Rugaas. I already do weekly pack walks in our city and we work on daily training sessions but this particular plan is from CARE is one I plan to implement immediately. Bookmark this page because I’ll keep updating it based on additional readings and learnings. We had a pack walk today. 20 dogs attended and I was the only host. We only had two new attendees and the group walked well together. Maggie only lunged once at a small fluffy white dog that got in her space. After the walk we stayed and chatted with Elizabeth by the Liberty Market. Maggie was a little stressed – it was a pretty loud area with a lot of kids playing. When we got back in the car I realized I was probably more anxious than Maggie so I took several deep breaths before we headed home. I guess training relieving anxiety also starts with me.